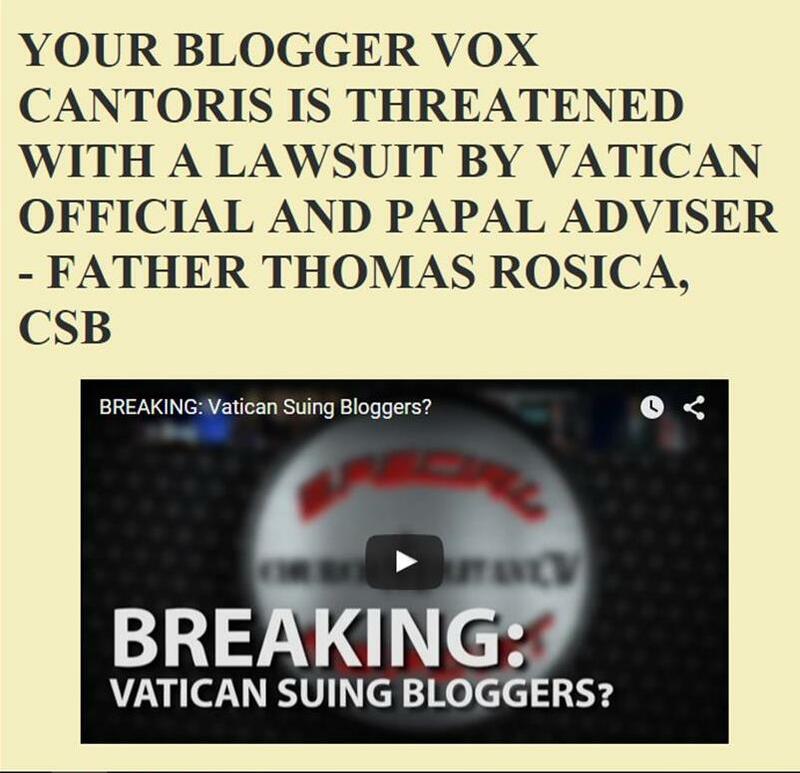 Vox Cantoris: Welcome to the Ratzingoglio Papacy - Because most Catholics are stupid enough to believe that two popes are "just fine!" Welcome to the Ratzingoglio Papacy - Because most Catholics are stupid enough to believe that two popes are "just fine!" More information from Ratzinger's upcoming book is coming out. Excuse me if I find this incredulous. Were we not told that he already wrote his last book? Was he not to retire to an "emeritus" position never to be seen or heard from again? Now, he's trotted out to applaud like a trained seal the heretical bovine excrement that his successor pushes upon the Church. Two peas in a pod these two this Ratzinger and Bergoglio. Neither of them deserve the title, Pope and even less, "Holiness." There is nothing "holy" about these two malefactors! John Allen at Crux is reporting that Bergoglio thinks the Catholic faithful are just fine with these "two popes." He fulfils the role of lapdog to these two clowns well. If Allen ever had any credibility he has lost it pandering to this "novelty" and doing the bidding of Ratzingoglio. There cannot be two Popes. Bergoglio is a fraud and Ratzinger is a traitor! A pox on both of them! Francis says the people have spoken: ‘Two popes are just fine. Francis goes on to say that the situation the Church finds itself in today of having two living popes, one in office and the other emeritus, is a “novelty.” He doesn’t add, perhaps because he didn’t need to, that it’s a novelty not everyone finds entirely satisfying. From the beginning, there have been critics of the arrangement. Some argued that because there can be only one pope at a time, the right thing for Benedict to do would have been to renounce all insignia and titles associated with the office and return to being Cardinal Joseph Ratzinger. Others feared that having a retired pope around would be divisive and destabilizing, as critics of the new pope would rally around the old one. There were howls of protest recently when Archbishop Georg Gänswein, Benedict’s long time aide, made the seemingly common-sense suggestion that the new situation implies an expanded Petrine ministry, with an active member and a contemplative one. Some appeared to see it almost as the prelude to a putsch, if not a schism. Francis is obviously aware of that reaction, and in effect his preface to the new Benedict biography delivers his response. Then, Francis comes to what he apparently sees as the popular bottom line. “The holy people of God, on the path, have understood this very well,” he asserts. Francis’ conviction seems to be that while theologians, ecclesiologists and bloggers may be perplexed or perturbed, the ordinary people of God aren’t. They love Benedict just as they love Francis, in part for who they are, but perhaps even more for what they represent. Benedict looks benign, hands folded gently, passive, but literally with his "back against the wall" or "caught between a rock and a hard place." Bergoglio's posture is dominant, upright, a bit of rigidity in the arms, and leaning forward, not relaxed as with a friend. May Jesus Christ Be Praised! I was thinking today of all those long hard years when John Paul 11 and Cardinal Ratzinger defended together orthodoxy against the 'in vogue' heretics who were treated as 'martyrs' by the ignorant who did not know their Catholic Faith. That is the man I remember. The pitiful shell that is now walking around, grinning and speaking like a simpleton is not the Pope Benedict I remember. Something is very wrong. In the video that was shot during the celebration of Pope Benedict's 65th anniversary of priesthood, Benedict appeared out of it and his words struck like scripted gushing for Bergoglio. What was most striking to me in the video though, was the frozen smile on Bergoglio's face all during the time when Pope Benedict was speaking. Bergoglio looked livid. I venture to say that previous to this video, I heard somewhere that Benedict had spoken up in an orthodox way. If that is true, it indicates to me that Bergoglio needs to co opt this valid pope and keep up the appearance of an alliance between them. The bishop of Rome has changed tactics to keep Pope Benedict on the same page with him. Benedict is a virtual prisoner in the Vatican. To me that is clear. I would not doubt he is being drugged if one wants to judge by his words and demeanor. Something is very wrong and nothing Bergoglio would do would in any way surprise me. Already the praise of Luther is starting and we will soon see the devil in Rome distort the meaning of the Holy Eucharist and the Mass. Pope Benedict needs our prayers, not our judgments and criticism. He is at the mercy of the evil cabal. Can you not see that? Benedict resigned, so he's no longer Pope. And therefore he should not wear the Pope uniform. He should revert to a simple, humble black soutane. And thereby help avoid confusion. It all goes to show how important it is to wear the right vestments. Benedict is acting out of character, but I don't think he is being forced. I'm not particularly a conspiracy nut, but I wonder what Benedict knows that we do not. i.e. Fatima secrets. Barbara Jensen said... "Pope Benedict needs our prayers, not our judgments and criticism. He is at the mercy of the evil cabal. Can you not see that?" I thought that too for a while; indeed, you may be correct. However, he abandoned his children. He never had to leave the Vatican, his apartment and chapel and gardens. He need never to have travelled to WYD insanity again. He could have appointed a Legate or Vicar to carry out his daily tasks on order of arrest by the Swiss Guards for disobedience. On Wednesdays a homily from the window and on Sundays a blessing would have been fine. No mass Masses, no Triduum, just pray, teach and sanctify. If he were being threatened he could have gone to the window on a Sunday Angelus and told us. We would have believed him and he could have outed the enemies. Not everyone in the Vatican is evil, where were the good men that he could have trusted to protect him or to get the truth out. I loved him like a father. I miss him. I thank him for the one thing he did well, Summorum Pontificum. A novelty by definition is transitory. This new arrangement goes against Tradition, as does AL & the other countless 'opinions' of PF and it is demoralising that no member of the Hierarchy is prepared to publicly condemn such an arrangement as being against Scripture. It is completely unsatisfactory for them to suggest that because the people of Rome seem to accept the new arrangement that globally Catholics are of the same opinion. This Papacy is making a farce of the great inheritance that used to be the Catholic Faith. They have turned service to God into service to Man & are demonically trying to force their heresies down our necks as time is of the essence for them. Only history will be able to declare whether or not PB is complicit in this arrangement but surely we can use our numbers to demand that as he has abandoned the flock of Christ he must now abandon any semblance of the Papacy & that PF starts to ear the proper garments befitting a Pope or else resign. We shouldn't put anything past these Apostates and we are all aware of the times in which we are living. I keep remembering Anne Catherine Emmerich writing something to the effect that the Holy Father didn't know who he could trust, should we be shocked if Pope BXVI is being medicated to subdue him? These crazies have hijacked the Church, nothing is sacred and without a doubt there is more to come. “Something is rotten in the state of Denmark (Vatican)"
Yes, I FIRMLY believe Benedict is being drugged. I saw the same video and saw his eyes and his mannerisms and listened to his voice.......not the same eyes, VERY dilated, and NOT the same voice, ROBOTIC. I have seen relatives in the same state, so I have experience of someone on drugs. HE HAS BEEN DRUGGED BELIEVE ME!!!! We just don't know what's gone on in the Vatican before his resignation, but I think one thing we can all agree on................whatever is going on and has gone on is DIABOLICAL TO THE MAXIMUM!! And Our Lady of Good Help has also warned of the "Pope that will be imprisoned in the Vatican", and "crying bitter tears". Looks like that's what we are witnessing NOW. He needs our prayers desperately!! I imagine that eventually God will act and take care of this "novelty". I think Anonymous @ 10:41am only has it half right. Benedict XVI was abducted by the aliens foretold by Part II, Section (c) of the sixth secret of the apparition of Our Lady of Tonawanda in 1983 that was suppressed by modernist, socialist, NWO hierarchy in 1984. He was forced by the extraterrestrial cabal of intergalactic Masons to say what he said upon his return to earth. To take Ratzinger's words at face value is beyond belief! What is going on is scandalous and disgusting. But the corruption has been evident since I was young. I was happy when Wojtyla was elected but I grew to see his hostility toward marriage, as the annulment crisis overwhelmed the Catholic Church in America, as it still does. I watched him do nothing but move his lips. He knew the corruption that many of us complained about. Our annulment case was in Rome during his papacy and it was known there, how much trash that I had seen and made loud noise about. But it was to no avail. What does stopping nullity mean, when the Catholic Church accepts the unrepentant adulterers, LOCK STOCK AND BARREL? The we got Ratzinger, who had ok'd, wholeheartedly, living as brother and sister(along with Wojtyla) even as the valid marriage is violated, left, right and center and the children are scandalized! Wojtyla, Ratzinger and Begoglio....all are the scum of the earth. And this idiot, Jorge, made Wojtyla, a SAINT? Perhaps in his personal life he was a good man, but what he did to marriages is scandalous. He allowed, knowingly, marriages like ours to be gutted and left for dead. I was thrown a bone, by the Church not granting my wife's an annulment. She went ahead and slept with her lover, now for nearing three decades, as the local Churches, the priests and their bishops and ROME, ignored my pleas. Whoopeee, no annulment. Meaningless! I was innocent. But an Methodist adulterer, who was accepted into the Catholic Church as he slept with my wife, made decisions about MY CHILDREN'S LIVES as the faithful, abandoned, innocent spouse HAD NO SAY IN THEIR SACRAMENTAL LIVES! The adulterers did, WITH THE FULL BLESSING OF THE CATHOLIC CHURCH. I am a stranger to the Catholic Church now. If there was any place else to go, I would kick the dirt of the Catholic Church from my shoes, and vacate the premises. When will God smite these merciless bastards? unless you repent and undo your entire Papacy, you abusive thug! You lack the integrity to even care about the tremendous damage you are doing. YET, I MUST PRAY FOR YOU, AS MY HEART IS TORN TO SHREDS AND YOUR BEHAVIOR MAKES ME NAUSEOUS AND SCANDALIZES ME, OUR CHILDREN AND THEIR CHILDREN. How, in the name of rationality, was a punk like yourself, allowed into the priesthood, in the first place? Dear Karl, My heart bleeds for you. Take comfort from a clear conscience. The adulterers will not get away with it - that is certain. Your kids know the truth in their hearts. Just understand all the conciliar popes have sold their souls to satan and their eternal reward is also waiting. They are not Catholics and neither is their church. Keep your side of the slate clean and stick to the real Catholic Church - our only means of salvation. 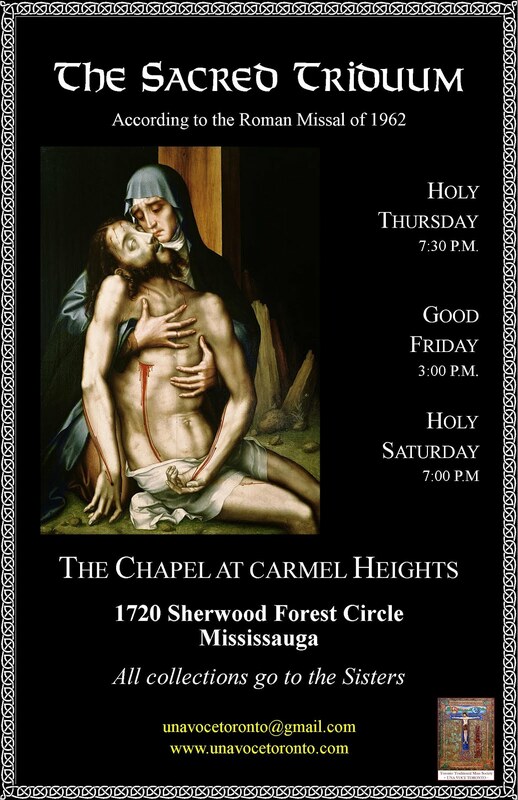 Accept your suffering and offer it to Our Father, together with Our Lord's to His glory and for the reparation of sins. We are not in this vale of tears for ever. The second head of the Satanic Order of the Illuminati [after Weishaupt] was the noble Roman and Head of Alta Vendita, nicknamed Nubius. In his secret instructions he wrote: "We must decatholicize (eliminate Catholic doctrine, life, civilization) the world ... We are only conspiring against Rome ... A good hatred, thoroughly cold, thoroughly calculated, is of more worth than all these artificial fires and all these declarations of the platform... Our ultimate goal is the complete annihilation of Catholicism and even of the Christian idea... strike a new chord in the hearts of the young clergy ... and in a few years, this young clergy, invading all the offices, will govern, administer, and judge .... and will be called to elect the future Pope. Do you want a revolution in Italy? Look for the Pope of whom we have done the portrait. Let the clergy walk under your banner, thinking they are walking under the banner of the Apostolic Keys ... Do not individualize murder; to extend it to the proportion of the hatred against the Church, we must generalize it ... Save the bodies, but kill the spirit. It is morale that we have to strike; We must, therefore, injure the heart." And again: "Catholicism is not afraid of a tip of a dagger, but may fall under the weight of corruption. Never get tired of corrupting ... We have undertaken the big corruption, the corruption of the people by the clergy, and clergy through us, the corruption that has to lead us to the burial of the Church! ... The best dagger to kill the Church and hit her in her heart is corruption." If you think that Pope JP II was against marriage, you either were not alive or too young to understand anything at the time, or a crackpot if you were of adult age and paying attention. He did not take on the US Bishops who were creating the annulment factory, which was bad, but didn't each of the guilty bishops have primary responsibility? I recall that the figure in the 1980's during JP IIs reign is that 90% of the annulments in the world took place in the USA. Coincidentally, 90% of the world's lawyers were located in the USA in the 1980s, as I recall. Whose fault was that? A hundred percent of us are sinners. Is that the fault of the Pope or the Church? The Jesuits are ruthless. We must not rush to judgment against our beloved Benedict, because in truth we cannot assess or know what is going on behind the scenes in this Jesuit pontificate. However, we can keep in mind the murky fates of Cardinal Danielou and Pope JP1 (to name only the famous ones). If Jesuits are capable of murder (in addition to more widely known perverse behaviors) would it be hard to imagine them, oh, having a "concerned" chat with Benedict's physician to make sure he's on all the numerous heavy drugs commonly needed for the elderly? Maybe, maybe not. All this is guessing on our part, and you will not find the answers on blogs. Bergoglio was an outcast in the Jesuit Order until he became pope. Now they have all joined forces, but I assure you the details you will never know. I have myself witnessed Jesuit "superiors" and "administrators" advise old and conservative priests who are a drain on the budget to stop all meds and go into hospice. That was without a terminal diagnosis. Jesuits are too cunning and vicious to be caught out by internet speculations that are based only on the obvious, not the real hidden story. As a lifelong Catholic, I would never have believed this until I saw with my own eyes. It sounds nutty, I realize. But it's not a blog theory or trad rant, it's my personal observation, from working with them for many years. Clearly Benedict is suffering, as many have noticed in his eyes, face, posture, speech and written words. But as to why or how long, only the Jesuits know for sure. JayBee makes sense. Let us not rush to judgement. I have grown accustomed to adroit deceivers who are cunning enough to leave one impression but whose choices result in another. Once he became aware of the shenanigans, he became obligated to address it, as our lives were being destroyed and he damn well knew it. That we are all sinners is, honestly, superfluous. Yes, of course the bishops are responsible, as are pastors and confessors but it was under his reign that the malignancy exploded. He had the responsibility to expose it, if necessary from the pulpit of the See of Peter, even if he was powerless to remove most, if not all, of the American bishops, as I thought and still think he should have, even if they could not be replaced. I spoke from the audience, once, at Dunwoodie, at a meeting held by Cardinal O'Connor. When I honestly and angrily recounted my personal experiences, I was shouted down by the audience and watched in disbelief as that imitation of a man and a bishop, O'Connor, allowed this, when he could have stopped my being heckled. I sat down in utter disdain. Afterward, a guy with a beard, looking to be in his late 30's, and carrying what looked to be a large book(it reminded me of a canon law commentary) walked up to me and said to me that what happened to me should not have been allowed and was a disgrace. Then, a lady came up to me in tears, put her arms around me and hugged me, telling me that she was greatful that someone had spoken up for people like her. That is how the clergy work, certainly those with the real power. Of course I am a crackpot. One must be to have kept swimming against the current in the cesspool of Catholicism since 1990, when I was 35, hoping that truth made a difference. It is our job to seek forgiveness, to repent, to restore, to forgive and to create the atmosphere that nurtures healthy, solidly faithful Catholic families. BUT, this cannot be without accountability, that is both merciful and just, in complimentarity. armamentarium of a mob enforcer, like the little boy who never grew up, from Argentina. But, his predecessors set him up, quite well. Ultimately, though, it is our choices which matter. Just as those choices remain for the Pope, to turn from his chosen path of ignorance. As I, still, wait for my wife to repent, so will I wait for the Pope to repent, like the crackpot I was taught, by my mother, my father and the Ursulines, to be. Karl, thank you for your commentary. Those effeminate, cowarsly and lying clerics you describe are reading this blog. They mock and laugh at me too, I just don't publish their bile. Dear Vox, Why don't you publish their names and their bile? Put a light on them for all to see. Let's tackle these spawn of satan head on! Vox, I want to share with you the newest post by Louie Verrechio over at AKA Catholic. It is really relevant to our conversation about Pope Benedict. He states my thoughts exactly. If you have not read it yet I ask you to do so. I ask God to bless you for your I=fine work on this site. In Parasceve Domini - IEIUNIUM PASCHALE. Nothingburger From Not-Pope; Catholics Meanwhile Targeted By Groupthink Hate. - As Pope Emeritus Benedict XVI jabbers on using obscure words in meaningless letters approved by his buddy Pope Francis, the world continues to burn.